A simple Twitter chain supports what a plethora of studies on the topic are telling us— physician burnout is the new normal. 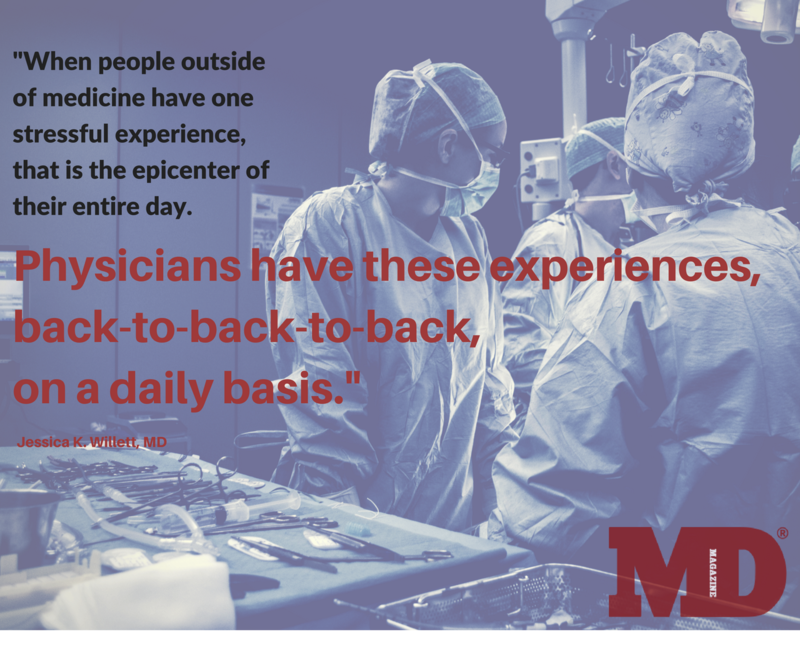 Mayo Clinic surveys from 2011 and 2014 suggest that physician burnout is a growing epidemic. In the 2011 report, 45.5% of respondents reported at least 1 symptom of burnout. By 2014, that number had swelled to 54.4% (P<.001). Physicians also reported decreasing satisfaction with work–life balance over that span, from 48.5% in 2011 to 40.9% by 2014 (P<.001). Those disconcerting trends are continuing today. In July, physician network MDVIP reported that 76% of physicians suffer from sleep loss due to stress. Another 66% said work-related stress made them feel as if they were “on a treadmill that keeps speeding up.” And 41% commented that they had seriously considered quitting medicine because of stress—an especially unnerving detail in light of the looming physician shortage. Health care professionals interviewed by MD Magazine® described similar pathologies: Burnout begins in medical school or training, when aspiring physicians and other health care workers are given volumes of information to learn under tight deadlines. It becomes more burdensome as careers develop, just like a treadmill that keeps speeding up. What are the sources of physician burnout? What can be done to prevent it? And if it can’t be prevented, how can physicians cope? Willett believes change must begin at the educational level but noted that school workload is “negotiable only to a certain extent without compromising training.” One residency program has found a way to skirt that debacle by developing a system that allows burdened students to negotiate the facets of their training. The Department of Neurology at the Virginia Commonwealth University (VCU) School of Medicine has a small Adult Neurology Residency program. According to its website, just 6 physicians make up the humble class of 2018. Among them are Ross University School of Medicine alumni Hiba Alam, MD, and Joseph Doria, MD. Alam described a supportive environment between students and faculty at Ross but said that same environment was missing from VCU. Signs of burnout were clear in their coresidents, and many were open about struggles to balance their work and personal lives. Doria and Alam knew something had to change, so they implemented a weekly Tuesday-morning meeting with their coresidents. The group is free to discuss anything that may be bothering them without fear of reprisal from faculty and administration. 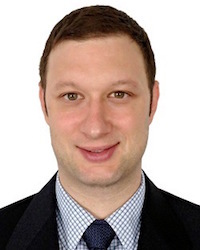 On Fridays, Residency Director Scott Vota, DO, joins the group to consider new approaches to pain points shared by the group. Since its inception, the group has lobbied and received approval for a few small changes that are substantial to residents over time, Doria and Alam said. In one instance, they received a new projector with better resolution for their morning faculty reports. Clearer imaging is crucial for their work in neurology, Doria said. In another instance, the group explained how frustrated they were with time-consuming, mandatory note-taking. Shortly after bringing this to Vota’s attention, they received new dictation software for documentation, along with headsets. “The biggest difference is that the time it takes to type is greatly cut down, so residents can go home earlier and spend more time in their personal life,” Alam said. Many other incremental changes have come from these meetings: favorable updates in shift rotation practices, new exercise equipment for the meeting room, a half-day designated for independent studies, an annual program retreat outside work, and more. The meetings were instrumental in instilling a more positive energy in the residents, Doria said. Where once the group once felt abandoned, they now feel valued. Sadly, programs like the one conceived by Doria and Alam are missing from most corners of health care. A 2017 University of Manchester meta-analysis of 20 controlled interventions administered to 1550 physicians found that just 3 interventional programs incorporated discussion meetings designed to enhance teamwork, leadership, and structural changes. The meta-analysis monitored 2 types of burnout interventions: physician-directed intervention, which targets individuals, and organization-directed intervention, which targets the working environment. Interventions were graded with burnout reduction scores, gauged by standardized mean differences of emotional exhaustion, which was understood by points on the Maslach Burnout Inventory or similar validated measures, with higher scores indicating more severe burnout. The meta-analysis found that physician-directed interventions were associated with a small significant reduction in burnout, with an average emotional exhaustion score of 16.2 (95% CI; 14.7-17.3) versus a control group score of 17.9. Organization-directed interventions fared better: Physicians reported a 13.9 emotional exhaustion score (95% CI; 12.4-14.7) versus the control group score of 17.9. Though there were major variations in approaches, investigators found consistencies in the most effective interventions. “Those that combined several elements such as structural changes, fostering communication between members of the health care team, and cultivating a sense of teamwork and job control tended to be the most effective in reducing burnout,” investigators wrote. Despite the effectiveness of these interventions, there simply aren’t enough of them to mitigate the overwhelming prevalence of physician burnout. Investigators speculated that high costs and difficulty in implementing changes to entrenched health care systems prevent organizations from pursuing such practices, perhaps at the cost of their staff’s well-being. With hospital-led interventions few and far between, many physicians are left to their own devices to manage the symptoms of burnout. As a former teacher, Willett has gone from dealing with sporadic moments of stress in a classroom to the organized chaos of an emergency department, where high-stress situations are a guarantee. Every patient she treats is at their most vulnerable, and it can be difficult to manage the emotions that well up from those intense interactions. For as hard as the stress hits physicians, small moments of relief can have as great an impact. Willett said a simple “thank you” from a patient can change her mood for an entire shift. Doria and Alam said they’ve grown accustomed to taking 2- to 3-minute breaks from work to clear their minds. Many physicians agree that stress requires constant deliberate management. 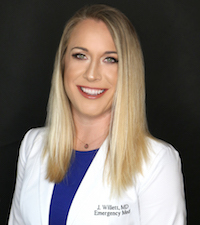 Willett schedules personal activities in the same manner she would schedule her workday, often aware that the practice is motivated by a desire to stave off the symptoms of burnout. She has a few planned trips or activities on her calendar at any given time and uses them to spur motivation during difficult shifts. “I have learned that if I don’t actively do something to help me recover from getting my energy and compassion depleted, then it often doesn’t happen,” Willett said. Willett conceded that the problems and stresses that make up burnout are too complex for 1 simple fix. She advocated for therapy with a professional, a colleague, or a loved one. Seeking legitimate feedback from someone is also a step physicians can take to fight the ignominy surrounding help seeking in their field. Physicians’ suffering is not always as apparent as that of their patients. Deepak Chopra, MD, a contentious figure famed for his touting of alternative medicine and holistic care, told MD Magazine® that he’s been exploring how low-level workplace stress can persist for decades before symptoms appear in his most recent book. 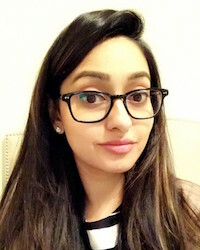 Much of the onus of physician burnout lies with health care institutions, and Chopra urged physicians to remain self-reliant and to practice self-care. Before his 30th birthday, in 1985, when he was chief resident at New England Memorial Hospital in Stoneham, Massachusetts, Chopra began to feel burnout begin to take hold of his life. “Looking back, I was extremely lucky that my self-medication didn’t progress beyond a fairly moderate use of alcohol and cigarettes to unwind and keep me going. I also had the support of an unswerving spouse,” he said. 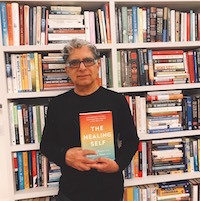 Chopra didn’t come across his preferred self-healing methods (meditation, yoga, Buddhist retreats) until he wondered, “Why am I doing this to myself?” He maintains that doctors must find value for their own well-being and define that well-being through internal measures, ones that exclude material accomplishments like pay, social status, and work-related rewards. Physicians carry a burden of moral obligation. They work long hours and submit themselves to great stress because they want to and believe they have to, Chopra said. The reality of that commitment keeps him grounded on the subject of burnout. “If there’s a silver lining, it’s that those who are most affected are those who are most driven to change these broken systems,” Willett wrote in a follow-up to her original tweet. There may be still another silver lining: the fact that practicing medicine is a noble motive—one shared by thousands of doctors across the entire planet.